A Scorpio has the kind of mood that is only comparable to the weather; stormy one day, cloudy the next, and sunny the week after. 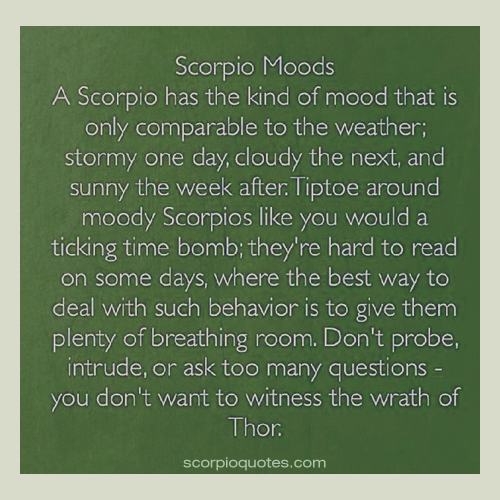 Tiptoe around moody Scorpios like you would a ticking time bomb; they're hard to read on some days, where the best way to deal with such behaviour is to give them plenty of breathing room. Don't probe, intrude or ask too many questions - you don't want to witness the wrath of Thor.